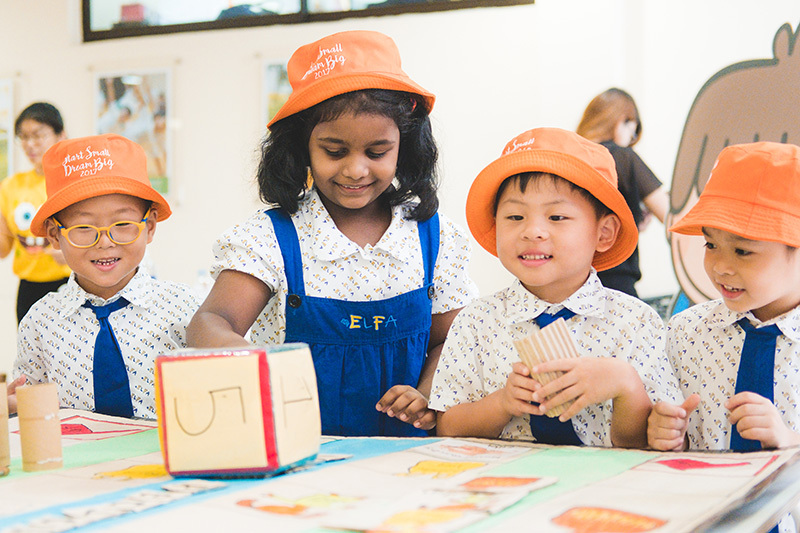 ELFA Serangoon observed Earth Day on 22 April 2017 with a wide range of activities to inculcate in its children better understanding of what environmental protection meant and how they could play a part. ELFA children playing board games made with recycled materials. 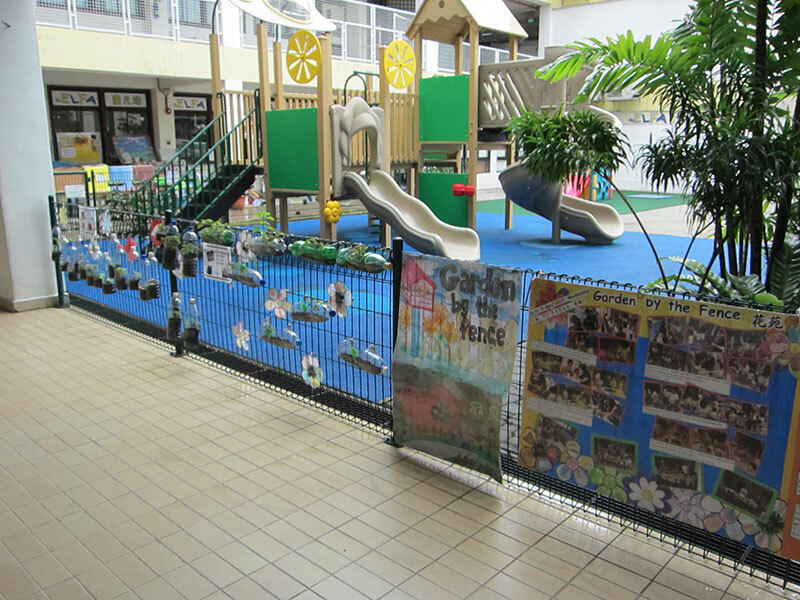 ELFA Preschool collaborated with parents in the eco projects in which they donated recyclable materials to create an eco-garden called ‘Garden by the Fence’, a “Soundscape”. 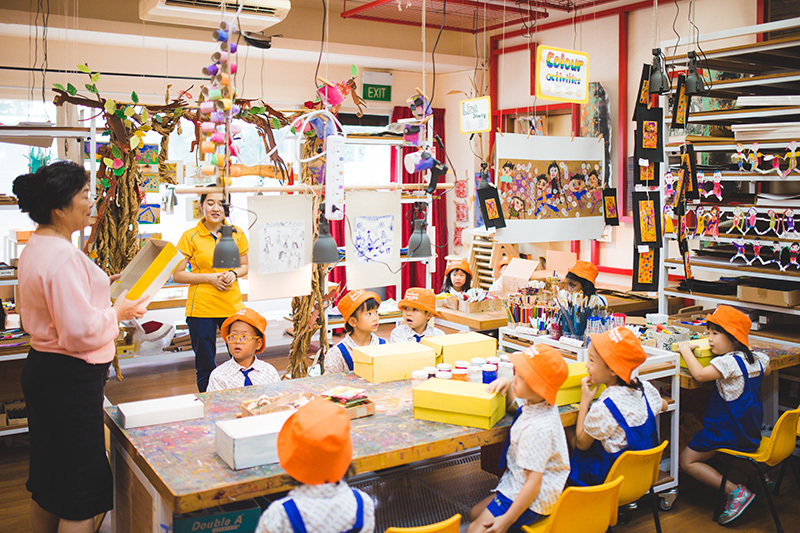 Used magazines and newspapers, plastic bottles, pots and pans and other materials were utilised to create an environment to give the children a hands-on feel of what it meant to Reduce, Reuse and Recycle (the 3R). For the “Garden by the Fence”, parent volunteers joined the children on 8 April to assist them in “planting” various types of herbs and flowers on the fence along the corridor separating the playground. With the guidance and support of the teachers in the projects, the children also learnt about the importance of plants in the eco-system and how to take care of them as they attend to it every day. The “Soundscape” featured used pots, pans and other kitchen equipment hung also on the fence where children learn to make music outside their classroom environment. The projects opened new doors for learning as the children explored and heard different sounds produced with the equipment. The parent-child collaboration not only fostered a sense of teamwork and cooperation as parents and children worked together in “maintaining and caring” for the plants in the garden. Their effort also helped to beautify the centre surroundings. 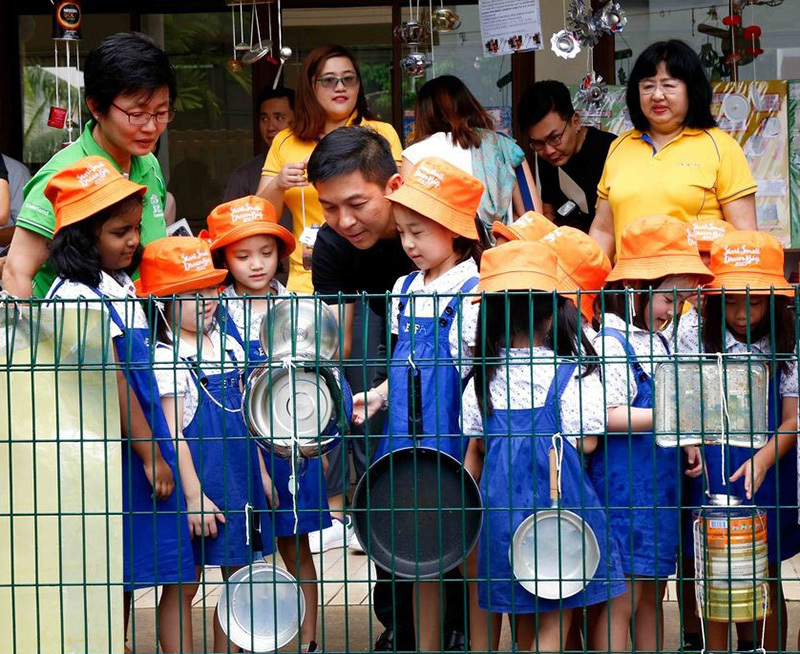 Minister for Social and Family Development, Mr Tan Chuan-Jin exploring the Soundscape, made from pots, pans and other kitchen equipment. A day earlier, on 21 April about 60 ELFA children and some of their parents participated in ECDA’s Earth Week Lights Out Carnival 2017 that featured the theme “Doing our part to make Planet Earth a better place”. At the carnival children learned how to reduce, reuse and recycle materials through various activities. 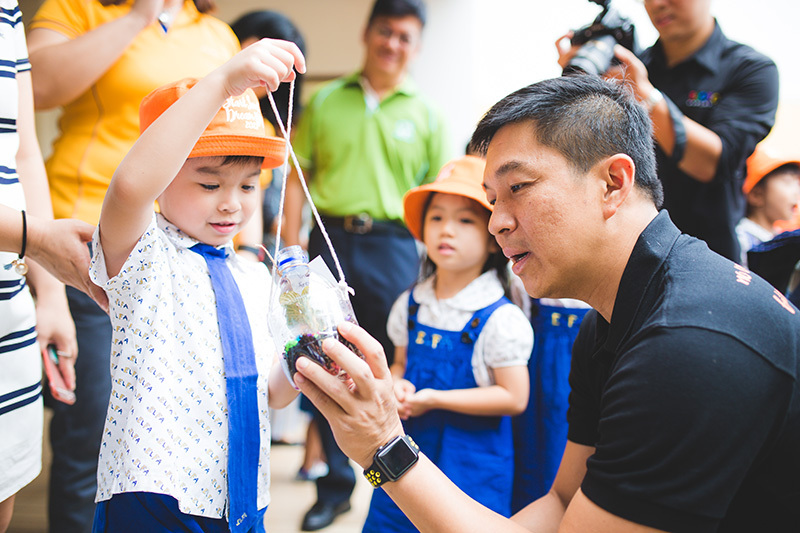 Minister Tan Chuan-Jin graced the occasion to see how the centre incorporated saving the earth in the centre’s curriculum. He spent some time with the children, viewing their projects such as ‘Garden by the Fence’ and ‘Soundscape’. At the “Garden by the Fence”, one of the ELFA children showed the plant he planted to Mr Tan Chuan-Jin. The success of the Earth Day activities reinforced the importance of parental participation in cultivating the children’s awareness and appreciation for Earth, something the centre will continue to pursue for other activities as well.